Patric Chan talks a big talk, but in this unbiased CB Passive Income review I’m going to walk you through some of the product’s sales claims, the product itself, and very clearly show why you’ll be very disappointed if you purchase it. 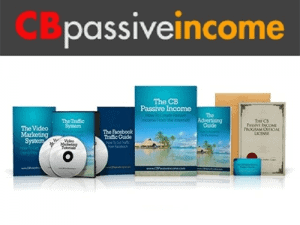 I am not an affiliate for Patric Chan or CB Passive Income. I’m just an experienced internet entrepreneur that wants to keep people like you safe from buying low-quality, crappy products that will let you down and hang you out to dry. If you don’t have time to read the entire review below, here’s the long and the short of it: Don’t buy CB Passive Income. Patric Chan makes a bunch of promises and under-delivers on all of them, very similarly to another serial product publisher, Ewen Chia. You’ll spend more time and money than you can imagine trying to get this broken product to work, and new internet marketers all across the internet are failing after falling for Patric’s promises. I explain all of the reasons why and provide supporting evidence in the review below if you want more proof. 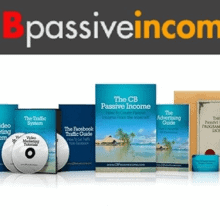 Here’s how CB Passive Income works: Patric gives you a couple of squeeze pages, you send traffic to those pages, and Patric adds them to an email list and “sells them for you”. In theory that sounds like a pretty sweet deal, but the hardest part of that three step process is getting traffic, which you’re still stuck with. 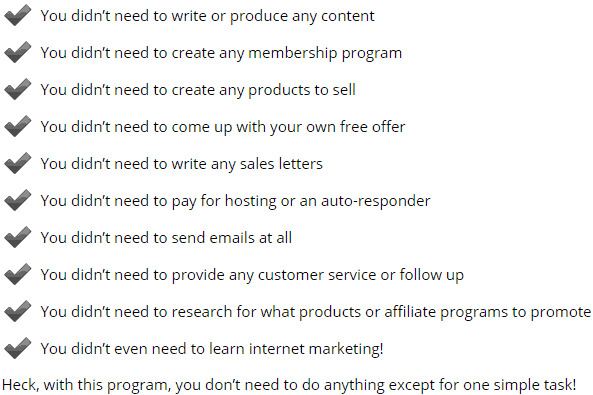 If you’ve never made money as an internet marketer, it’s easy to overlook what a bogus deal this is. You’ll either have to send paid traffic to the squeeze pages you’re provided (which will be hard because they’re duplicate content) or create content that gets ranked in the search engines and drive traffic from your content to the CB Passive Income squeeze pages. If you can do this, you can promote any product on the internet and don’t need Patric Chan’s product. So if you’re an experienced enough internet marketer that you’re capable of driving traffic to these landing pages, the product isn’t for you because you can make money selling anything you want online – you don’t need Patric Chan. If you’re an inexperienced internet marketer that hasn’t successfully generated traffic to any sites or affiliate offers in the past, Patric Chan doesn’t teach this but sticks you with it instead, leaving you blindly throwing money at paid advertising or slaving hours upon hours each week creating content to try and get traffic without any training or direction. 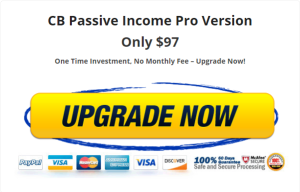 In this case, you definitely don’t need CB Passive Income because it’s going to cost you an enormous amount of money in paid advertising or a tremendous amount of time creating content, something Patric promised you wouldn’t have to do. Chan has missed both markets here: It’s not in an experienced internet marketer’s best interests because they can promote thousands of other offers or sell their own products instead, and it’s definitely not in an inexperienced marketer’s best interests because there’s hardly any direction or help in the areas they need it the most. If you’ve purchased more than two or three internet marketing training courses in the past, you’re probably sick of being pitched upsells. The sales page makes you think you’re getting access to an incredible, life-changing product. After you buy, you hear about some miracle add-on that you need to buy to truly get those results. After that, there’s some exclusive coaching, added bonus, or some other B.S. you’re being pitched to make the product publisher more money. Nothing screams greed quite like multiple upsells. It’s a big “F**K YOU” to your customers and shows that you’re more interested in making more money off of them than providing an all-inclusive, helpful product for one price. It’s deceitful, and no legitimate product publisher I know tries to pressure you into upsells to get the most out of their product. When I’ve just paid $47 for your product, I want access to it NOW. I don’t want to have to sit through more long videos, get discouraged because you’re basically telling me what I just paid for is worthless without these add-ons, and scroll to the bottom of the page to find the cleverly disguised, “No thanks, I don’t want to wake up to a ton of my money in my bank account tomorrow” links. You really have to dig past all of the fake, positive reviews published by affiliates to find honest reviews in this industry. 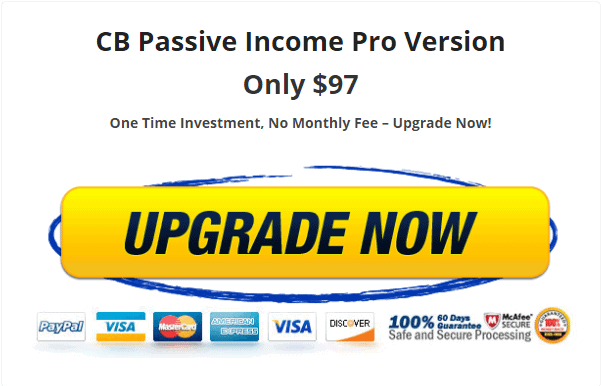 If you do that for CB Passive Income, you’ll find a theme: New internet marketers are struggling, spending their hard-earned money on not only CB Passive Income but also on experimenting with driving paid traffic to Patric’s sales pages too. Don’t end up like the two people above. Avoid buying the product and wasting your time and money trying to make a broken product work. You read that right, I couldn’t access the product immediately like I was promised. 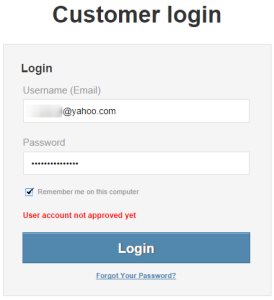 I kept getting a “User Account Not Approved Yet” error message. I have no idea what went haywire in CB Passive Income’s system, but I didn’t receive an email like I was supposed to (not even in my junk/spam folder) and had to file a support ticket and wait for two days before I was even able to access what I’d paid for. Nothing will upset a paying customer quite like that. 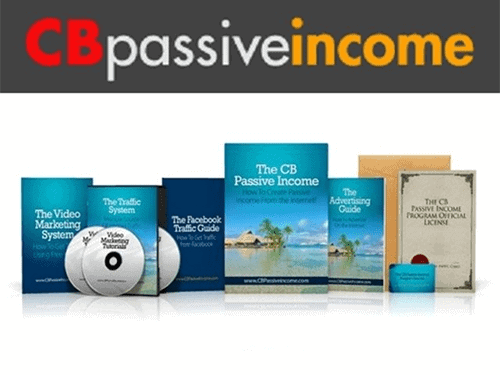 With all of that being said, CB Passive Income fails on every level. It makes misleading sales claims, fails to deliver what Patric Chan promised, pummels you with a barrage of upsells, and then will most likely end up costing you even more time and money trying to get traffic so that Patric Chan can “do all of the work for you”. CB Passive Income is bogus, and regardless of whether you’re new or not-so-new to this industry, there are definitely better products out there for you to buy. It makes my day to hear from website visitors like you, so if you could take a time to comment below I’d really appreciate knowing you were here! Also feel free to ask any questions – I reply to all comments personally within 1 weekday and would be happy to help any way that I can. Stay safe out there! So preaty much the guy wants you to spend money to see if maybe you can get him so traffic? OMG, and people actually get into that program? got to be kidding me. I know, right? Those were pretty much my thoughts exactly. Thanks for stopping by and commenting, Goli! Thank You for advising us to stay away from cb passive income which certainly does seem to fail to deliver. Normally when something like this offers a product/service for $1, you just know that an expensive fee is hidden round the corner somewhere. This is exactly how scams work because they get you hooked on small fees and then bombard you with upsells and/or hidden costs. You’re absolutely right, Neil! I’ve never seen a product publisher selling a product for $47 or more offer the product for $1 that DIDN’T have a shady rebill on the back-end a few days later. Thanks for reading and taking the time to comment – it’s always great to hear from visitors and know that my content is actually helping people! It means a lot to me. So you are calling this a scam because it just has upsells? Hate to break it to you, but probably 95% of programs and courses on the internet have upsells. Just because it has upsells does NOT make it a scam. Educate yourself first before judging something by reading one guy’s post And by the way, this guy is calling everything a scam to promote WA. That’s what they teach at WA. Make everything else look bad and send people to them. And this isn’t a scam? Come on. Some common sense has to be used here. Form your own opinions. Don’t form an opinion just based off one post. If you look at the other articles when you type in CB Passive Income, everyone else from WA is calling it a scam too. This should tell you something! If you click ANY of the links to free training on my site (call-to-action buttons, right-side banner, footer banner, etc. ), they ALL lead to a library of 15+ hours of 100% free video training. Literally dozens of free training videos. An email opt-in isn’t even required. Please do your research before you make libelous statements on someone else’s website. I’ve been running an unbiased consumer protection site in the internet marketing space for YEARS before WA started teaching their affiliates to do it as a business model, like you’ve accused me of here. I know about Chan and you’re right on. Bought his basic product to look at and evaluate about 18 months ago. It’s crap with a half hearted attempt at looking legitimate. As far as his latest upsell goes, I’ve got an Apaloosa stallion that produces better. Hahaha! He actually tried to get my website shut down for giving his product a negative review (he wrote my hosting company’s abuse department). He also threatened further legal action from SINGAPORE – like that’s going to happen. He ACTUALLY tried that ?? He should be ashamed of himself! I have to admit, I didn’t buy the product but I know someone who personally has and he couldn’t get anyone to buy that thing. On top of that he was upset of the upsells thinking he could still profit with $47 but couldn’t. I wouldn’t recommend this product even to my worst enemy. No problem at all, Ade! Well here I go again with my credit cards stripped of all of their credit limits. I pray and hope that my final foray internet marketing will not fail. I have 48 years of consultative sales and adding over $40 million (when a $1 was real money) of net value to more than four hundred clients in twenty nine states with a reputation of being and named a “financial geru” in reputable publications) I’m now permanently disabled with uveitis secondary to ankylosing spondylitis which has required four disc spinal surgeries (L-2 through L5) and the loss of 25% of my vision in my right eye. In November 2012 the University of Illinois Eye Clinic told me in addition to my diagnosis that I likely would be in a wheel chair and legally blind within four months. My wife is in remission from breast cancer and basil cell carcinoma. Finally, I’ve been doing the best due diligence that I knew since January 2013 praying that God would find a internet business that could replace our losses of a lifetime and provide for a way to just pay for basic living expenses of about $3,000/ month . . . no wants, no desires just basic living expenses. Thanks for listening. I hope and pray this works out. I don’t need the six figure income I was earning before I was lost my ability to work 60 to 70 hours a week. If it doesn’t, I’m done. Thank you for reading and taking the time to share your story, Larry. I’m so sorry for everything you’ve gone through, but I’m happy to help you with your internet business any way that I can. Don’t hesitate to drop me a line any time if I can help. Looking for an honest added value product or service that I can offer with a passion towards meeting or exceeding expectations. I appreciate your openness towards offering transparency. Open to suggestions on how I may create a new long term income stream. Hey Rich – I assume your niche is internet marketing. Are you strictly looking for internet marketing products? And what level of experience do most of your visitors have? Glad I found your site. As for all these Sellers claiming to make this and that and plenty of $$$, I realized they made it not by using their own system or course but rather selling dreams and fake promises to gullible, poor and desperate people. 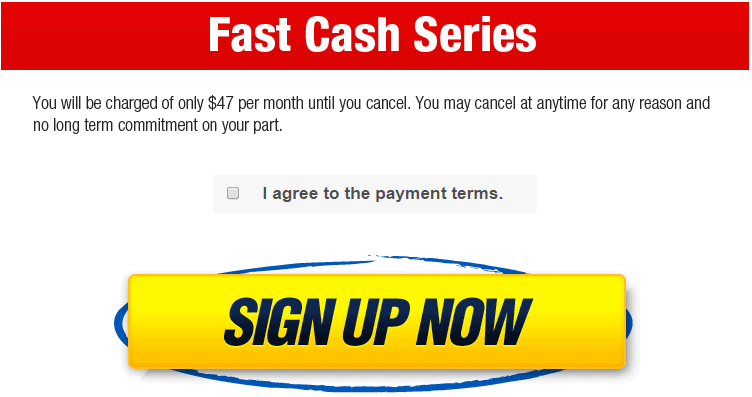 I will besigning up for your free training. Thks! You’re absolutely right, David. And it’s sad how often you get into a product where the publisher clearly DOESN’T know what they’re talking about or make money that way. The people that do are very, very obvious and it’s extremely refreshing where you get into a product, see examples/case studies from their past work, and know without a doubt that they make a living doing what they’re teaching. I hope it’s clear by my free training that I do this for a living, and if you have any questions as you’re going through it, don’t hesitate to reach out. i can’t agree more actually.. Some more now they have those seminar.. make people advertise for it and no teach traffic.. on top of that, what happen if you have leads, the leads have to go to them to “register”.. and then become their network..
Way too many programs like this in our industry! btw, i met Patric chan & been to his seminars. i m shock at what these things he is doing as you revealed. 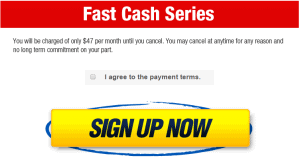 I m enrolling in his 6-week programs of internet marketing free of charge – not the CB passive income. The program is using internet marketing to promote a network marketing company’s products. Hey Fisher, I’m not sure whether or not it’s a scam based on what you’ve described here, but it sounds like shady billing practices at the least. I would say any company selling ethically would have made the automatic billing much clearer and hard to miss if they had their customers’ best interests in mind. 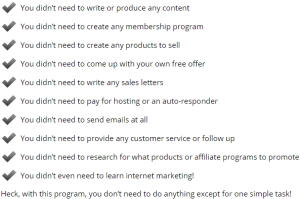 Patric has a 6-week intensive Marketing Training course with no upsell he wanted me to get and where he trains you for six weeks in affiliate marketing, wordpress, squeeze page, etc. and traffic.What can you tell me about this course? Will your free training cover this material as well and as completely as he claims? After reviewing several products from Patric over the years, I would be VERY surprised if he delivered half of what he claims on his sales page and in his sales emails. I’m not sure what course you’re talking about without naming the product, but that’s what I’ve seen from him time and time again over the years. Thank you for this review. You just saved me from making a big mistake. I was just about to purchase cb passive income before I read your review, I do not understand why most experienced internet marketers use lies to make people purchase their product when they are suppose to focus in giving value and get rewarded for that. Thanks again for your honest review. I hope I can rely on you to practice what you preach. I’m very glad you found it helpful, Fyne! Thanks for taking the time to comment and let me know. Thank you for this review. I hope I can rely on you to practice what you preach. Did you sign up for my free training course? No problem, Sona! I’m very glad you found it helpful! Patric promises free, then you point out it is not. And you warn us… then YOU offer something that is “Free”. What do you get out of it? Are you a benevolent millinaire too, now you are rich you are working hard just to make others rich! The big difference is that mine is ACTUALLY free. I make my money through other websites and streams of revenue; I’m not looking to get rich by scamming my website followers. Hey Darth! No problem – I’m glad that I could help. Unfortunately I don’t know of anyone else providing this type of site in Singapore. Hello, I read your review. It is a pity, that such programs exists. I myself have tried many programs but am still waiting for my breakthrough and am still on my way. Have a long list of programs to check out. I will have your “stoppingscams.com” site in mind. Thanks for the review on Patric Chan. I was going to sign up for his program. I have lost a few dollars on other programs that didn’t work. I am about to give up on all internet programs. Your wealthy affiliate looks promising though. I am retired and I am not tech savvy. Question: If I got into this program and followed everything you teach what would be a realistic income. Say in 3 months. Hey Don, I believe you emailed me too (which I replied to a little bit ago). Thinking about how much money you can make in internet marketing/affiliate marketing within the next three months is not a mindset that sets you up for success. Expect to study, work hard, and grow over the next 9-12 months minimum and you’ll be setting yourself up for success much better. …Doing this WITHOUT any positive expectations within the next 3 months is also not the mindset and will set you up for failure because you will have nothing to aspire to. Instead you must have a goal and the ability to assess whether that goal can be met using a particular system. …you set a goal for making consistent income online within the first three months and let me know how that works out! I fell for the $1 offer made by Patric Chan. I am still waiting for login details after two hours so I can’t even send a ticket. I managed to leave a message on Patric’s Facebook page. You are dead right. This con is not for me. I am so tired! I have taken a week to review all of thees guys and gals too who have these “GREAT FREE PROGRAMS WHERE I TEACH YOU EVERYTHING.” This guy almost got me because out of all of them NONE OF THEM can boast RICHARD BRANSON, THE CLICK BANK VP OF MARKETING and others that he parades for you. I was actually beginning to feel some hope. NOW YOU are here and although you tell us not to go to Patrick YOU HAVE A PROGRAM. Just tell us NOW how many “up-sells” are in YOUR PROGRAM? I am asking myself IS THERE ANYONE OUT HERE THAT IS IS HONEST?!!!! I’m thinking the only way is just to do it yourself and learn through trial and error. Lot of good stuff free on youtube to at least get started cause now I DON’T JUST NO ONE….EVEN YOU. That REALLY makes me be feel bad because YOU COULD BE THE ONE that is legit. But how the hell would anyone of us that are new really know? Hey Izzy, I understand your skepticism (and encourage it), but the only way you’re going to know for sure is if you try out my free email course. There’s no risk – if you don’t like it, just unsubscribe. Now, we’re leaving off just one to another. And at the end of time, this counts ” I’m thinking the only way is just to do it yourself and learn through trial and error.” Although it’s clear this will take lot of time, resources and hard-work.